At Kennedy Nemier Insurance Agency, Inc., we take pride in the time we spend getting to know you, and our agents are fully committed to helping you understand all of your coverage options before selecting the right one. Accidents can happen at any time, and protecting yourself financially through a reputable insurance company is important. At Kennedy Nemier Insurance Agency, Inc., we provide an array of comprehensive coverage plans. 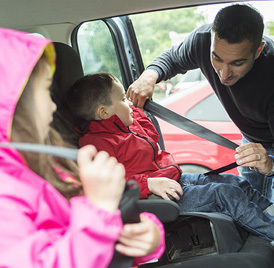 We also offer a variety of policies that cover you and your passengers in the case of an accident. Whether you're in a minor fender bender or a 6 car pile-up, we'll make sure that you and your car are in the best position to recover. Unlike large, out of touch insurance companies, our agents provide personal, one-on-one attention. Our goal is to get to know you first and then work with you and your family to protect your assets and lower your insurance costs. My Auto Insurance Rates are Too High! What Can I Do? 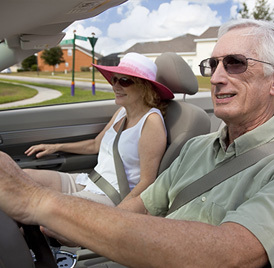 What Types of Auto Insurance Coverages Are Available? Our agents are advocates for finding a plan that meets your specific needs. Before you purchase your policy, we will carefully listen to your concerns, answer any questions you may have, and provide you with a detailed breakdown of the costs of your policy by thoroughly explaining what's covered. We know buying insurance is a difficult process, and we'll be by your side at all times! We often work with people from Plymouth, Canton, Northville, Livonia, Novi, Westland, South Lyon and throughout Southeast Michigan. Contact us today and learn why Kennedy Nemier Insurance Agency, Inc. is the place for all of your auto insurance needs.